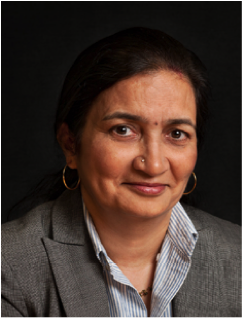 Dr. Sujata Govada is an award-winning and reputed urban designer and certified town planner with over 30 years of diverse international experience in Hong Kong, China, the Philippines, India and the United States working on urban design and planning projects. She is the Founding and Managing Director of UDP International. Dr. Govada will be the Planning & Design Director for this Project. Dr. Govada’s work has been recognised for being very innovative, influential, and instrumental in increasing awareness on sustainable development and shaping livable and walk- able cities in the region. Dr. Govada has been based in Hong Kong for over twenty years, with diverse experience working for both public and private sector clients, including the Hong Kong Government, property developers and various organisations in Hong Kong, India and the Philippines. Dr.Govada received over 12 major urban design and planning awards, six of them in 2008. These include the HBF’s Harbourfront Connectivity Study, Graham Market Area – WCC Alternative Proposal and Designing Hong Kong’s Central Waterfront Planning and Urban Design Competition Award Winning Entry, “Central Harbourfront Promenade – “Emerald Necklace”, a joint submission with RTKL, and IT Park Master Plan for an Special Economic Zone development in India with ERM as the lead consultant. Some of her current and recent projects include, a new green-city master plan in the Philippines on the island of Luzon, a slum rehabilitation project in Mumbai, India, a new Science and Technology University campus plan and mixed use development concept master plans, as well as ULI’s 10 Principles for Sustainable Development of Metro Manila’s New Urban Core in the Philippines; ULI 10 Principles for Sustainable Approach to New Development. Others include several Visual Impact Assessments. Adaptive Reuse, Feasibility Studies, and Urban Integration Mass Transit. As an Adjunct Associate Professor at CUHK, Dr. Govada is currently involved teaching and program development for the new MSc program in Urban Design. Prior to this she was a Part Time Assistant Professor at the University of Hong Kong, having taught in both the Urban Planning and Urban Design graduate programs at the Department of Planning and Design. Dr. Govada is the past Vice Chair (Special Projects), International Division of the American Planning Association. She is the Past President of the Hong Kong Chapter of the American Institute of Architects as well as the Founding Co-Chair of the AIA HK Urban Design Committee. She is also a Global Trustee of the Urban Land Institute and Executive Committee Member of ULI North Asia, and the AIA HK Representative Member of Hong Kong Urban Design Alliance and “Citizen Envisioning @ Harbour”. Dr. Govada is an Alternate member of the ex-Harbourfront Enhancement Committee, which is now the newly formed Harbourfront Commission. She is the past Vice President (International Relations) and founding and full member of Hong Kong Institute of Urban Design (HKIUD), a full member of the Hong Kong Institute of Planners, and Registered Architect with the Council of Architecture in India.